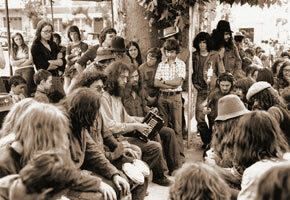 Gerard Dole became interested in American folk music in his teens during a stay in the Southern United States. 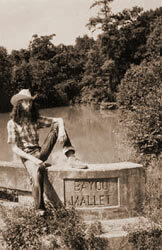 Hank Williams was his first heroe and his "Jambalaya on the Bayou" urged him to visit Louisiana. Later on, after having played in New Orleans jazz bands Gerard Dole devoted himself to Cajun Music. In the early 70's in Paris, when Gerard Dole started touring the folk-clubs with his Acadian accordion, there were few French musicians that could play Cajun music properly. 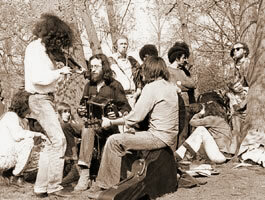 It was a treat then when such capable fiddlers as Christian Leroi-Gourhan or Phil Fromont joined him for a jam session at La Vieille Herbe, Le T.M.S. 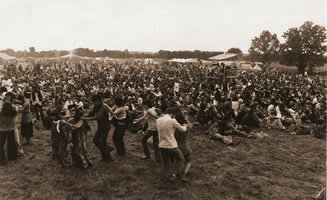 or Le Bourdon folk-clubs. On such occasions, enthusiastic folkies would play along and more than often, one could hear “Jolie Blonde” or “J'ai passé devant ta porte” accompanied by such weird instruments as the hurdy-gurdy or the bagpipe. In those days, Gerard Dole would cross the Channel four or five times a year, pick up musicians and play in London in such folk-clubs as The Macabre in Trafalgar Square, or The Troubadour on Old Brompton Road. He would also go to Amsterdam and play informally in the taverns on the Dam. More than once, they stayed open a couple of hours after closing time to let him sing and squeeze in a few more tunes, to the greatest merriment of all the beer drinkers. 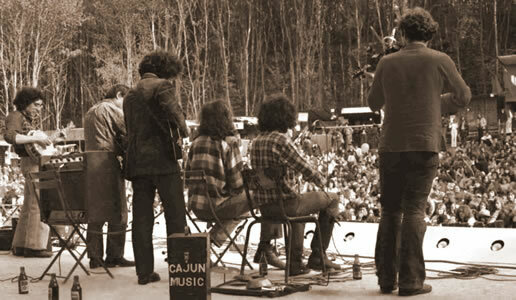 In 1974 Gerard Dole decided to set up a band totally devoted to Cajun Music. He called it Krazy Kajun. It was the very first one of its kind in France and was quickly in great demand. 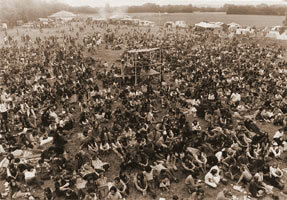 Sometimes, on the same week-end, Krazy Kajun would play a gig for two dozen country people in a lost village of Poitou, then shift to a big folk festival where thousands of folkies would greet the band with roaring cheers. 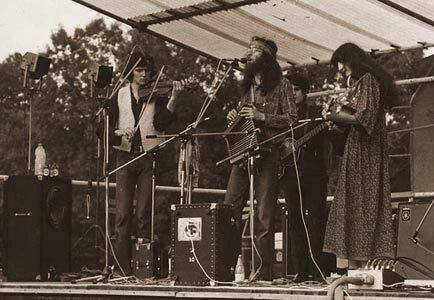 The importance of the pioneering work of Krazy Kajun is clearly demonstrated by the fact that, thirty-five years later, France and Europe can boast a whole army of home-grown « cajun » bands. In the summer of 1975 Gerard Dole embarked on a liner bound for New York, then travelled by rail down to Louisiana. During his stay in Basile, Evangeline parish, he visited such renowned Cajun or Creole old-timers as Dennis McGee and Sady Courville, Cyprien Landreneau, Fremont Fontenot, Eraste Carrière. He also became acquainted with the Balfa Brothers, Nathan Abshire, Marc Savoy, Michael Doucet, and made tapes of their wonderful music. 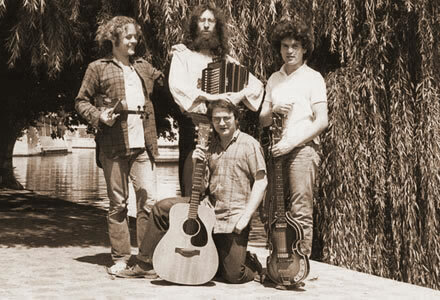 Back in Paris, while his fellow musicians of Krazy Kajun were now turning towards modern jazz, Gerard Dole remained faithful to traditional Cajun and Creole Music and created a new group called Bayou Sauvage. It remained active until the early 2000's. This long adventure allowed Gerard Dole to find his own identity in the heart of Cajun music. Not having been born in Southwest Louisiana but having shared so many good times with his Cajun friends in more than 40 years, he considers himself as a Francadian, that is to say a French musician who devotes himself to the Acadian style while striving to bring to it an extra dimension and a very personal touch.